Vincent "Chuck" Fontaine says the morning his sister Jeanenne was shot, he let three men who were looking for her boyfriend into their home, thinking nothing of it. Less than 20 minutes later, Fontaine said he was running frantically to his uncle's house in his socks after he heard a gunshot, and one of those men pointed a gun at him. Fontaine was in Court of Queen's Bench in Winnipeg on Tuesday, the second day of the trial for Christopher Brass and Jason Meilleur, to testify about what he witnessed the day his sister was shot. 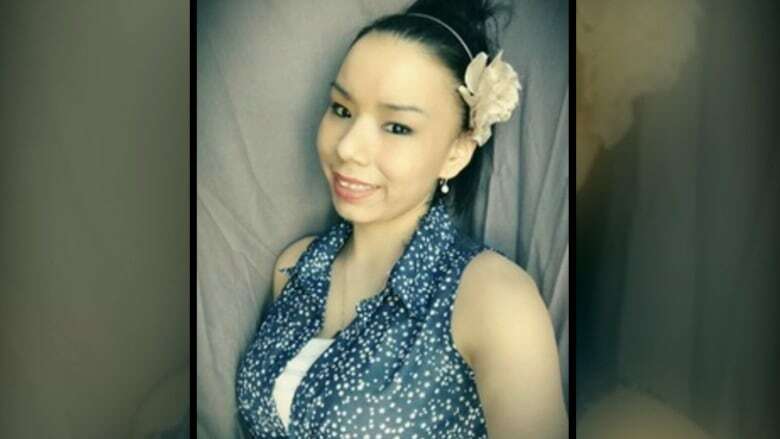 Brass and Meilleur are charged with manslaughter in connection with the death of Jeanenne Fontaine, the cousin of Tina Fontaine. Both have pleaded not guilty. On March 14, 2017, Jeanenne Fontaine was shot in the back of the head inside her home on Aberdeen Avenue near Salter Street. The house was then set on fire. She was pulled from the burning building, but died in hospital the following day. Her brother testified Tuesday that he was living with Jeanenne and his mother, Lana, at the time his sister was killed. The morning of March 14, Fontaine said three men came to the home, asking for Jeanenne's boyfriend, who he testified was a drug dealer. When he told the trio the boyfriend wasn't there, they went to talk to Jeanenne instead, he told the jury. While in the living room, Fontaine said he could hear the trio asking his sister where her boyfriend was, and telling her that her boyfriend had messed up. Not long after, when he was in the kitchen, Fontaine said he heard a gunshot, then saw one of the men come into the kitchen and dump garbage on their stovetop. When he asked what the man was doing, Fontaine said the man pointed a gun at him. He said he bolted out the door in his socks. He ran to his uncle's, where he tried to get ahold of his sister, calling and texting her multiple times to no avail. It wasn't until hours later, when police took him to the hospital, that he found out she had been shot, he said. During cross-examination, Theodore Mariash — one of Meilleur's defence lawyers — asked Fontaine why he let the three men in the home. Fontaine said he thought his sister might get mad at him, and that they "didn't seem like a threat at the time." He also acknowledged during cross-examination that he only saw one man do anything suspicious, and that he didn't know where the gun was fired. Aside from Jeanenne, Vincent Fontaine was the only person home at the time of the shooting, the court was told. On Monday, the first day of the trial, prosecutor Geoffrey Bayly said the Crown intends to prove that Brass and Meilleur went to Fontaine's home that day with a third man, Malcolm Miles Mitchell, to try to collect a drug debt owed by her boyfriend. They thought the boyfriend would be at the home, but when he wasn't the trio tried to rob Jeanenne Fontaine, Bayly told the court. During the course of the robbery, he alleged, Fontaine was shot and "chaos ensued" inside the home. Bayly also showed the court photos of the burned Aberdeen home on Monday. Mitchell pleaded guilty to second-degree murder last month and was sentenced to life in prison, with parole eligibility after 10 years. Meilleur is being represented by defence lawyers Mariash and Trang Ly, while Brass is defended by Tara Walker and Mitch Mraovic. Bayly and prosecutor Michael Desautels are representing the Crown.